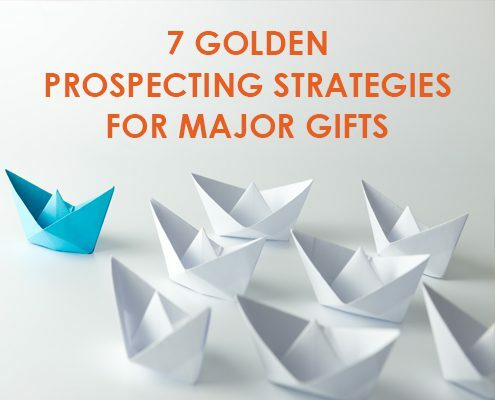 We are all searching, searching for the right prospecting strategies for major gifts. So what strategies are you using? Do you sometimes feel like you are kissing frogs to find a potential prince? We have all kissed our share of frogs after all these years in the fundraising business! But let’s take a faster route to finding new major gifts prospects. 1. Go to your current donors first. 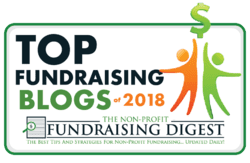 Sift through your donor files to find those who have made mid-level or significant gifts in the past two years. That’s where I’d look first. These donors are clearly your prime prospects. Why? Because they are current, and they are highly interested right now. What’s more, they’ve already voted with their money that they believe in you. And – you can actually get to them – they are accessible! Work for deeper relationships with these existing donors, and you’ll be more successful. 2. Start with your most committed donors and move them into larger gifts. 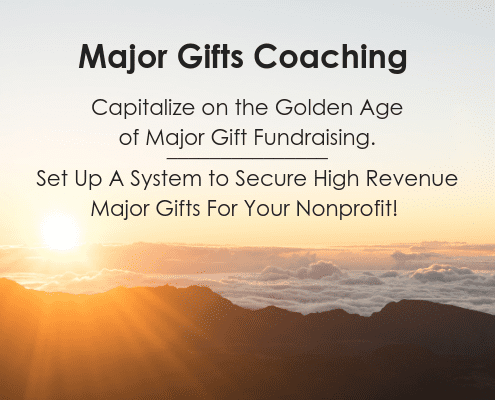 Yup, your mid-level donors just might be major gift prospects. Time to find out. Go see them and find out WHY they are giving. Find out what impact they want to make with their money. What are their hot buttons? What are they most interested in? How much do they really care? Are they giving what they can? What’s their potential? Once you know these things, try to match them with a funding opportunity that matches their strongest interest. 3. Look for people who have both wealth and affinity for your cause. But it’s hard. Especially when you have an easy $1k donor you could approach, and she’s not as scary as the $25k donor you really do need to visit. You just can’t take the easy way out this time. Gotta focus your time on the wonderful people with the deepest pockets. What’s “affinity?” That means there’s some sort of relationship between you and the prospective donor. Or at least you know that the donor is interested in your general cause. 4. Focus on your top level donors. 95% of the money comes from 2-3% of your donors. Always narrow down your focus to a few prospects with deep pockets at the top of the donor pyramid and work hard on relationships with them. You’ll never be successful by chasing every possible donor who comes along, because you can’t manage the follow-up. 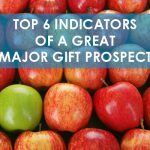 This is one of my top prospecting strategies for major gifts! Take a look at your prospective donor pool. Who are the ones most ready to say yes to a gift? Who have the most capacity to give? Identify the critical few – those with the greatest capacity to give, and prioritize. 6. Use your informal networks to identify prospects. I believe in word of month prospect identification. In many communities, families with wealth are well-known. 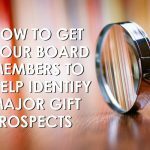 It’s not difficult to identify the individuals who have the capability to make major gifts. Their friends will often tell you all about them – and how to get the door open to them. Are you ever surprised at what people will tell you about “other people’s money?” I am! 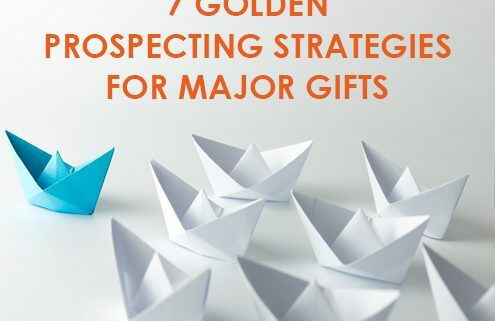 This is one of my favorite prospecting strategies for major gifts! 7. Pay attention to the ladies. The most recent statistic I read said that 63% of our nation’s capital is held by women. Women may hold the wealth in any family. Women often drive the gift. And women are more generous than men. For every $100 men gave, women in the same economic circumstances gave $258. 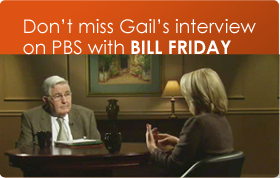 Listen to the ladies and find out what they believe in and what they want to accomplish. Do you know what I’d do if I needed to raise $50,000 in a month or two? I’d find three people/sources who could each make a single $50,000 gift, and I’d pay each one of them lots of attention. I’d listen to their personal vision for their own philanthropy and I’d find out their hot buttons. Then, when I thought they were ready, I’d solicit each one of them. One of the prospects would come through with the $50k gift, one would say no and one would make a gift below $50k. That’s what I’ve found out after more than two decades in fundraising. Try this strategy and let me know how it worked! Be creative and you’ll find the wonderful donors who can do so much for your organization. So what Golden Rules have I missed? Leave a comment and share your own golden rule for identifying your next round of very special prospects. What are your short cuts? Where are you successful? I’d love to hear! Thanks for your comments and your thoughts!